We talk so much about leadership and risk fixating on it. A simple google search shows over 830 million results for leadership but less than 750 thousand results for followership. Ironical, the vast majority of us spend a lot more time following rather than leading. Leadership dominates career development programmes, however, we could be missing out on a huge part of effective leadership, as followership rarely forms part of these. The success of an organisation is not only dependent on the leadership capabilities of the management but how effectively the whole company follows. 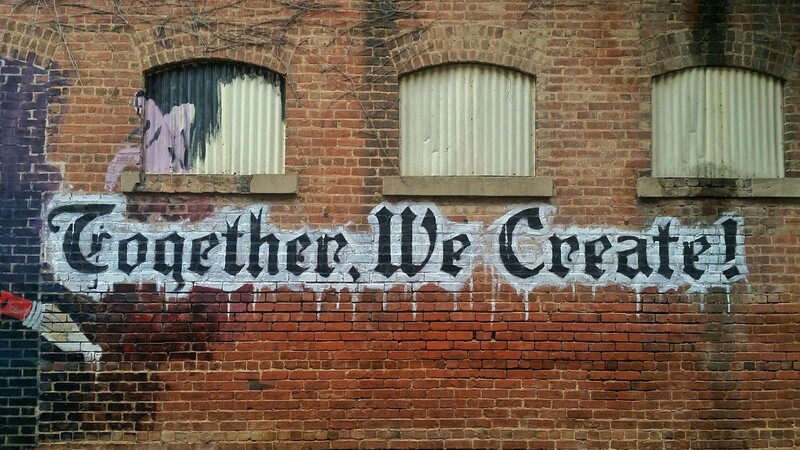 Studies show that followers contribute about 90% to the success of an organisation. The best leaders are great followers themselves and know how to get the best from their own followers. 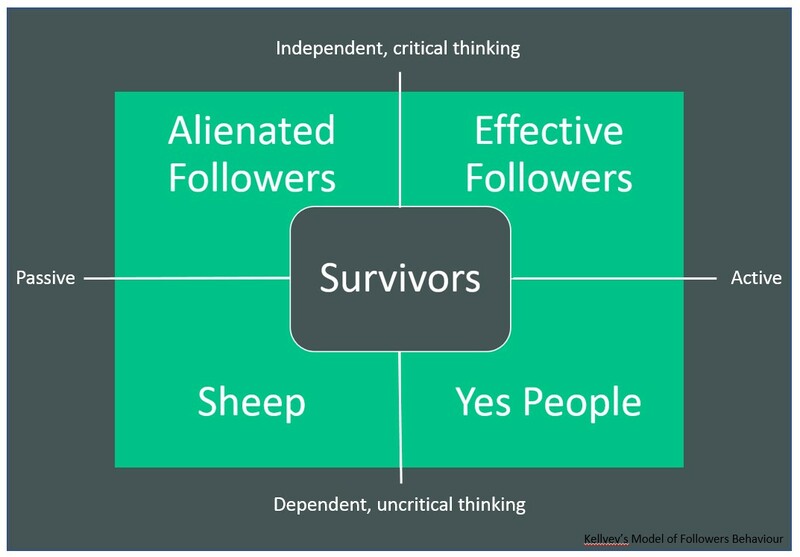 Kelley’s research highlighted 4 main qualities of effective followership. To effectively delegate tasks the person who is being delegated to needs to be able to perform the majority of task without directions and have the ability to work automatously. For delegation to be effective it requires good leadership, for example truly empowering the individual (not paying lip service to this), creating a safe environment, being clear about the desired outcome but giving people the space to define how they achieve this. How committed an individual is to the vision, goal or the objective of the organisation/function. It is the role of the leader to effectively communicate the vision of an organisation, to make this real for their team and energise them behind it so they are all pulling in the same direction. Committed followers help keep morale and energy levels high for themselves and the team. The skills, knowledge, experience and aptitude to perform their role and a desire and ability to continually improve on these. Again, a leader plays a part in this, everyone owns their career, however a good leader coaches and mentors their team, helps them define their career path, helps them understand their strengths and development areas through continuous feedback and gives them time to develop. This is best done by giving them in role stretched assignments mixed with mentoring and classroom training. Courageous followers are loyal, honest and candid. Good leaders create an environment where this is encouraged, modelling a transparent and trusting relationship with their team. Also, importantly, good leaders create an environment where people are not afraid to say what they think, where speaking their mind in a constructive way (presenting solutions, not just the negativity of problem) is encouraged and rewarded. Kelley identified two underlying behavioural dimensions which help define the type of follower someone is. These individuals do nothing that they have not explicitly been asked to do. They are a heavy burden on leaders and rely entirely on the leader for direction, they never challenge. Play to their strength to give them the confidence to work more automatously and understand what motivates them to give them purpose. Are committed to the leader and goals of the organisation. They tell the leader what they want to know and not what they need to know. Create a safe environment, encourage and reward these people to be candid and challenge when appropriate. They are pragmatic, they do not stick their necks out and often remain in the background despite having valuable ideas. Give them the opportunity to run a strategic project that they can own and requires them to engage wider across the organisation. Negative individuals, challenge for the sake of challenge and find problems but not solutions. They feel entitled to leadership and are critical of the leader and fellow team members. Understand their motivation, help them become more self-aware and emotionally intelligent. Get them to see how their behaviour impacts others with the objective of making them more collaborative. Positive, active, work independently (within their capability) and constructively challenge. Chanel this positive commitment and help energise them behind the organisation goals. Go on a journey with them and be aware (and act accordingly) that the commitment is to the vision, not the leader and therefore the role of the leader is to facilitate the journey not dictate how they travel it. The objective of Good Leadership is to optimise results by getting the best out of resources, primarily people. This is achieved by setting a clear purpose, defining what that means from a behaviours and priorities perspective, providing feedback on that journey and helping the team develop. Good Followership can be summarised as the ability to follow direction excellently, be motivated behind a vision, work as a team and deliver on your commitments. From these two simple summaries, it is clear that Followership is the ‘flip side’ of Leadership and that they are integrally linked. To achieve the right organisational results, both roles must be invested in and nurtured. Leadership programmes help leaders to lead, but there also needs to be investment in how that is received and applied.